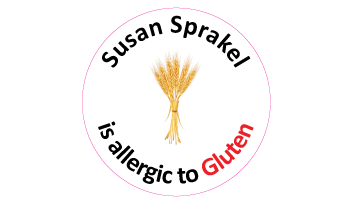 Our vinyl allergy stickers include a double strength adhesive backing to ensure your labels stick. Ideal for lunch boxes, drink bottles, baby bottles, school bags and more. Dishwasher resistant and microwave safe. Pack includes 30 round stickers. Size is 38mm.